The original Fletcher class destroyer design called for a 2080-ton, 38-knot vessel. The USS Nicholas (DD-449) was the first ship of the class to be commissioned. 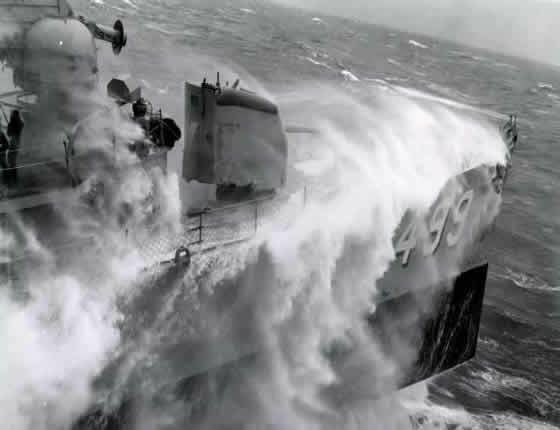 The sea trials were considered a success despite achieving only 37 knots at a displacement of 2589 tons. She was one knot short of design and 509 tons overweight, due to armament additions.